This day is unlikely to indulge in significant events. Monday promises to pass on a positive wave, although in the majority, quite routinely. But this non-catacalysmic moment can be devoted to eliminating business deficiencies, restoring interrupted relationships, or making future plans. The state of health probably will not cause great anxiety, but even this does not mean that you can refuse preventive measures. .
Aries on this day may have a minor disagreement with loved ones. There is a high risk that there is a misunderstanding with a work partner or the inability to negotiate with a business partner. To get around all sharp corners, act gently and avoid pressure. The rest of Monday can have a productive outcome. 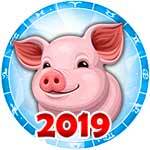 There is a chance to make an expensive purchase, complete the current project, find new allies, or establish useful contacts. 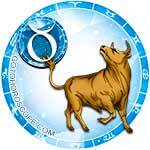 Taurus are recommended to meet February 4 with a radiant smile. 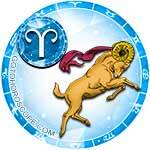 This day can bring major successes in both personal and professional matters. This success will be enhanced by the ability to maneuver in rapidly changing circumstances and the willingness to interact with others. 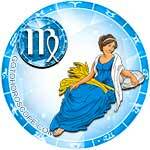 Things that are discouraged today are greed, cynicism, and selfishness (this may alienate potential helpers). On a personal front, you should behave gently, like a diplomat, avoiding unnecessary questioning. 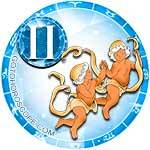 For Gemini, this day may open new perspectives on professional affairs. A lot will depend on your vision and agility. There is a chance to overtake one of your colleagues in order to occupy a prestigious position. It is also possible that all of the successes of this Monday will be concentrated in the field of finance. In this case, it will be likely to quickly increase capital by using someone else's unusual idea. In the evening, your state of health can worsen. Spend this time passively. 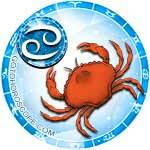 Cancers today may need moral help. There is a risk that pessimism and fear of making a mistake will reappear. Prepare yourself for success by remembering past victories, and do not panic in any way. It is also not recommended to enter into dialogues that have hidden implications. There is a risk that a swindler (a person collecting dirt on one of his acquaintances) will try to use your talkativeness. Positivity should be sought in communicating with loved ones. Some Leos on this day will discover many new worries. There is a chance that help will be needed by a younger or older family member. 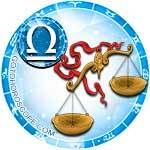 It is possible that there will be a slight dilemma which will distract you from active work. In the evening, after being tired of the many twists and turns throughout the day, it is worth thinking about complete relaxation. This is not the best time to start a strict diet or new habit. Live relaxed. 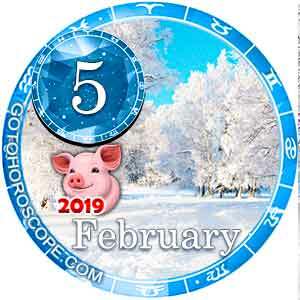 Virgo, on February 4, it does not hurt to have an "X-ray" instead of eyes. Try to study as deeply and carefully as possible the personality of each person with whom you will have to communicate closely. In financial and official matters, this day can go quite well. Not excluded is a small success in the profession or profit from an unexpected source. The body may require special attention. There is a risk of becoming a victim of hypothermia or cold. 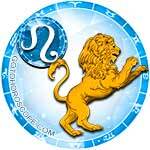 For most Libras, Monday will be a continuation of the weekend. Probably, even doing your work, you will not leave a feeling of lightness and harmony. Appreciate this moment and try to do everything in your power so that the harmony is preserved in all spheres of life. Toward the close of the day, some unpleasant memory may remind you of itself (it is possible that we are talking about the appearance of a shadow from the past by a number). It is important to quickly determine how to protect yourself from such invasions. 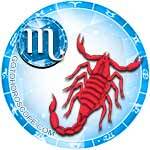 On this day, Scorpios can take up any business (including responsible projects and time-consuming initiatives). Monday promises to take place in comfortable conditions, where the energy potential is very high and circumstances actively support any initiatives. Later in the evening, it is recommended to forget about business in favor of the family. Find an opportunity to spend maximum time with your friends. It is possible that some of them will need support. 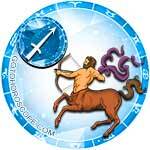 For Sagittarius, this day is likely to be quite ordinary. Priority should be assigned to affairs that do not imply haste and vanity. Finances may require special attention. There is a chance that you may want to buy an item that has a high value. Avoid debts and do not give impracticable promises. Do not create new problems for yourself. To achieve any goal, be patient and do not refuse any help. 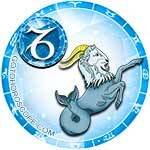 For Capricorns, the main task of this day can be the search for new allies. Probably, the partnership is required in both personal and professional matters. Another goal may be to take care of personal appearance. It is possible that you want to make some changes both inside and out. By evening, your energy potential will go down. This can lead to apathy and fatigue. Spend time passively, and without intellectual overload. 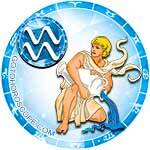 Aquarius, today it is recommended to maintain the utmost caution in the course of your life. There is a risk of injury. In everything that is connected with interpersonal relations, egotism is not harmful. You should not be allowed to appear next to a deft manipulator. For those who are single, the risk of falling into the network of fatal seducers increases. Do not believe everything that promises beauty. 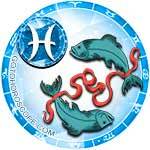 For Pisces, February 4, can be a period of high-profile triumphs. It is highly likely that a project will succeed at full capacity (a personal offspring that required enormous effort). It cannot be ruled out that you will be pleased with your personal life (for example, a touching reunion with a former second half will take place, a regular partner will return from a trip, or a new fan will appear). Finances also promise to give a small increase in income.